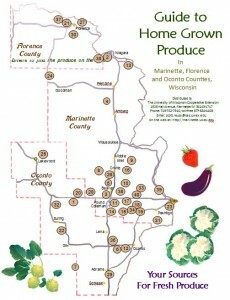 Growers’ contact information, produce offered, and a map of the location are included with details given on local farmers’ markets. Copies are available in various locations including Extension Marinette County office or Marinette County Land Information Office (both in Marinette courthouse), local libraries and supporting businesses. 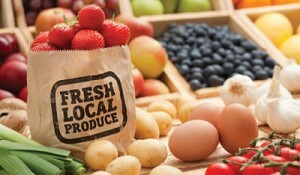 If you wish to be included in the Produce Guide, contact Scott Reuss, Agriculture/Horticulture Agent at 715-732-7510, toll free 877-884-4408, or email scott.reuss@ces.uwex.edu.